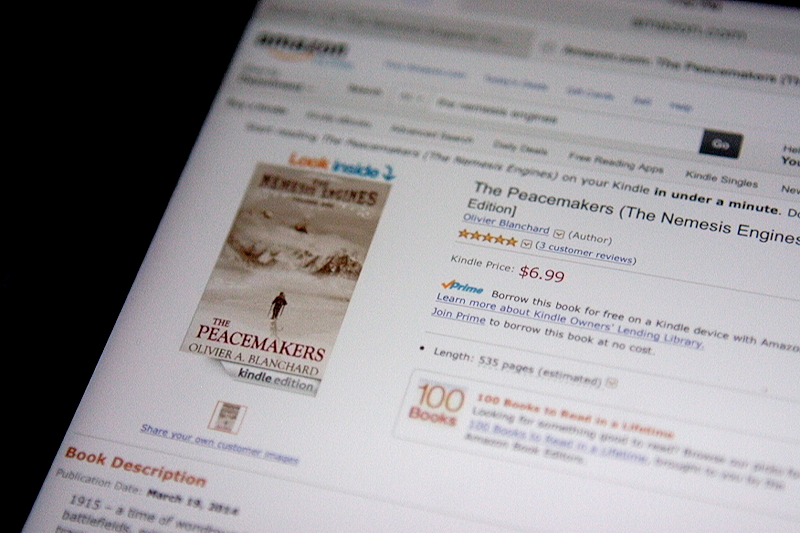 Olivier Blanchard » On Writing » ‘The Peacemakers’ makes its anticipated Amazon.com debut today. Volume 1 of ‘The Nemesis Engines’ could release as early as Monday. Today is the big day! The Nemesis Engines finally debuts today on Amazon with the series opener: The Peacemakers. 1. The story combines several genres – mystery, adventure, intrigue, retro sci-fi (think Jules Verne & H.G. Wells) and a even pinch of horror – so there is something in it for everybody. 2. Though the series isn’t purely steampunk, fans of the genre will feel right at home in the universe of The Nemesis Engines. 3. I am told that if you liked David Mitchell’s Cloud Atlas, Tolkien’s The Lord Of The Rings, Fitzgerald’s This Side of Paradise, and Wells’ The Time Machine, you will feel right at home with The Peacemakers. I can’t vouch for that but that sounds pretty good to me. 4. The Nemesis Engines is going to get more intense with each volume, and both the action and the suspense are going to keep getting bigger, but at its core, the story is about people. It is very character-driven. Beyond the action, the mystery and the big set pieces, the books are about people and the journeys they are on. 5. Volumes 2 and 3 will be out in early 2015 and early 2016 at the latest (respectively), so waiting to find out what happens next won’t be all that different from having to wait for the next season of your favorite TV show. The good news is that time flies and you will be starting Volume 2: Steel and Bone before you know it. 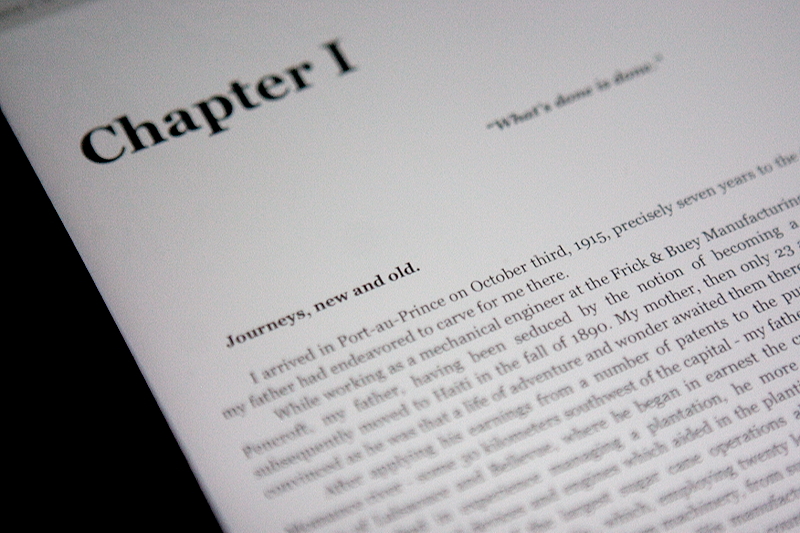 Otherwise, you can download the Kindle reading app for your favorite device by clicking here. Once you have read it, be sure to let me know what you thought of it. Your comments here will rock my world but posting them on Amazon as reviews instead will be super helpful to other readers wondering if they should give it a shot. Awesome! Thanks, man. I hope you’ll like it. Sincere congrats. I can’t imagine writing fiction. Amazing that you pulled this off. High five. Thanks man! Harder to write but also much more rewarding. Totally different ball game for sure.